May 31st 2016 was a sad day for the sport of Boxing in Canada as one of its builders, Taylor Lewis Gordon, passed away at the age of 84 years old. Native of Saskatchewan, Taylor Gordon was enlisted in the Royal Canadian Navy for 25 years where he won the Canadian Forces title in 1950 in the lightweight division. His passion for boxing was evident as he dedicated his life to it. After moving to Nova Scotia in 1971, he founded the Citadel Amateur Boxing Club and made sure to give the best opportunities in boxing and in life to every youth who walked through the doors. Gordon attended five Olympic Games himself as the National Team head coach and as a field supervisor, and also helped nine boxers from Nova Scotia reach their Olympic dreams. Taylor Gordon was a visionary; he played a major part in building Boxing Nova Scotia as well as Boxing Canada where he was part of the executive committee for over two decades. He was loved and respected by his peers, and was also a source of inspiration and a role-model to many. His achievements in the world of boxing were recognized in 2000 when he was inducted into Boxing Canada’s Hall of Fame. 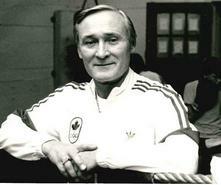 Taylor Gordon laid the foundation for boxing in Canada and paved the way for many athletes. His imprint on the sport will be felt for generations to come.